Jamb 2017 direct entry form is now on sale. If you have ever wondered about where to buy JAMB direct entry form, when JAMB direct entry form is closing and the price for 2017 JAMB direct entry registration form, this article is for you. According to the information released by Jamb, the 2017 Direct Entry registration will commence on July 10th, 2017. Here, I will share all Jamb direct entry latest news updates you need to be updated about. I will also answer some hot questions on Jamb direct entry form 2017. 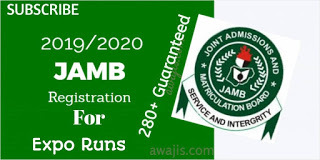 Joint Admission and Matriculation Board (JAMB) Direct Entry form for the year 2017 is now on sale and the price of Jamb direct entry form is N5,000 Only. JAMB Mandatory Textbook For Direct Entry ‘The Last Days at Forcados High School‘ is #500 Only. A minimum of ﬁve (5) GCE/WASCE credits at not more than two sittings with at least two Principal or Advanced level C.E. and the others. Two passes at the IJMB Advanced Level Examination, Cambridge moderated Schools of Basic Studies Terminal Examination, JUPEB or Institute of Baccalaureate from recognised institutions with SSCE/GCE, NTS/NBC credits equivalent in three other subjects (SUBJECT TO UNIVERSITY REQUIREMENTS). Passes in two major subjects in the NCE with S.C.E., NTC/NBC credits or equivalents in THREE other subjects (mainly for Education Courses) and ND. Education may be accepted as a third A’ Level subject for those taking courses in Education. Minimum of lower credit grade in National Diploma or National Innovation Diploma including the O’Level requirements. 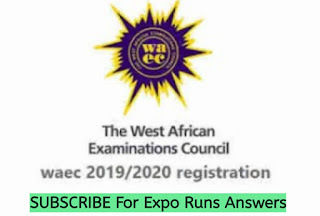 Candidates are to note that they will be required to provide their JAMB registration number which they used in gaining admission to NCE, Diploma etc for Direct Entry admission. Registration fee for Jamb 2017 Direct Entry is ₦5,000 Plus ₦500 to obtain the reading text- ‘‘The Last Days at Forcados High School’‘ . Each candidate must personally create a JAMB profile on the JAMB portal by clicking here. As it is the practice, centres are allowed to charge not more than ₦700 as registration.